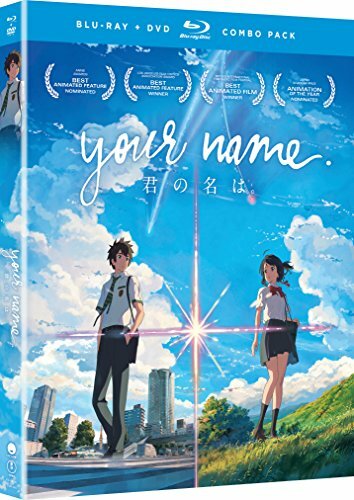 Movie | Your Name ~ Michael Sinterniklaas, Stephanie Sheh, Laura Post.. Format: Blu-ray plus DVD Combo.. Number of Disks: Two.. Actors: Michael Sinterniklaas, Stephanie Sheh, Laura Post.. Languages: English, Japanese.. Subtitles: English.. Date of Release: November 7, 2017.. Run Time: 107 minutes.. According to Japan Times, "Makoto Shinkai could be the next big name in anime... a blend of gorgeous, realistic detail and emotionally grounded fantasy''..